Discover the Top attractions on Lake Titicaca and experience a captivating destination drenched in dramatic history, enticing culture, and indescribable beauty. 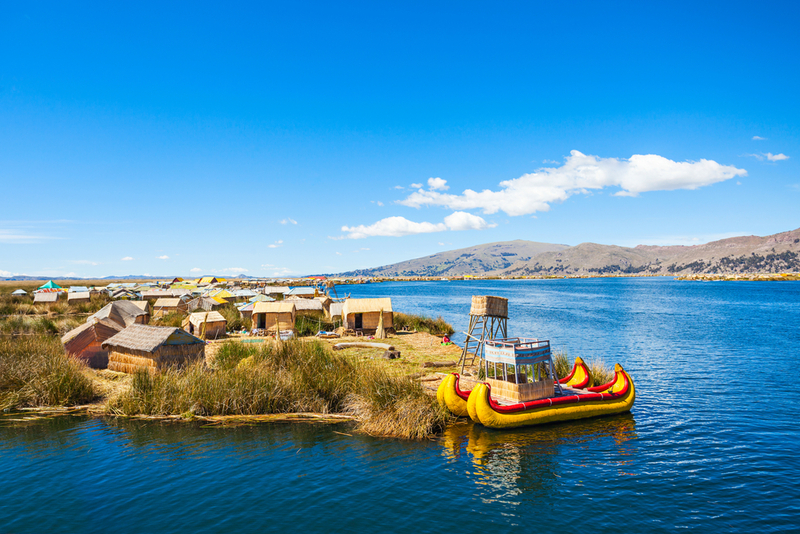 Floating high in the Andes and forming a natural border between Peru and Bolivia, Lake Titicaca is one of the most remarkable sights in all of South America. 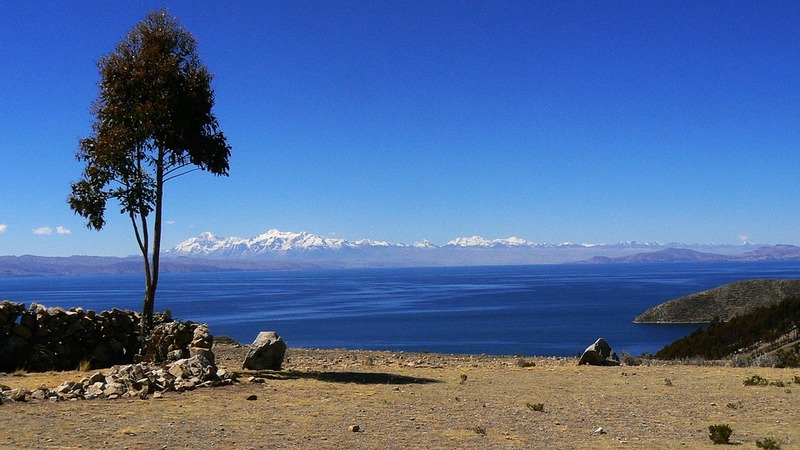 With its sapphire waters and jaw-dropping background of snow-peaked Andes, Lake Titicaca is hauntingly beautiful. Visitors can’t help but be enamoured at first sight. And as the legendary birthplace of the Inca Empire, South America’s largest lake is just as compelling to locals, who believe it to be a magical source of life. View over Copacobana. Photo credit: Shutterstock. Yet what makes this place so incredible to visit is the sheer number of attractions, both around the lake shore and on several of the 40-odd islands floating in its alluring waters. Both the Bolivian and Peruvian sides offer a variety of natural, cultural, and historical attractions, and that’s why all La Paz to Cusco overland tours will inevitably include days spent both in Puno (Peru) and Copacabana, in Bolivia. Aside the head-spinning altitude at which Lake Titicaca sits (3,812m has a way of slowing one down considerably) there are plenty of attractions to keep you entranced for days on end. Reed boats, Lake Titicaca. Photo credit: Pixabay. Here are just a few of the Top Attractions on Lake Titicaca. Approaching the Uros Islands. Photo credit: Shutterstock. The most visited islands on Lake Titicaca may have lost a bit of their authenticity in the past decade, yet they still retain enough ‘uniqueness’ value to make them worth your while. 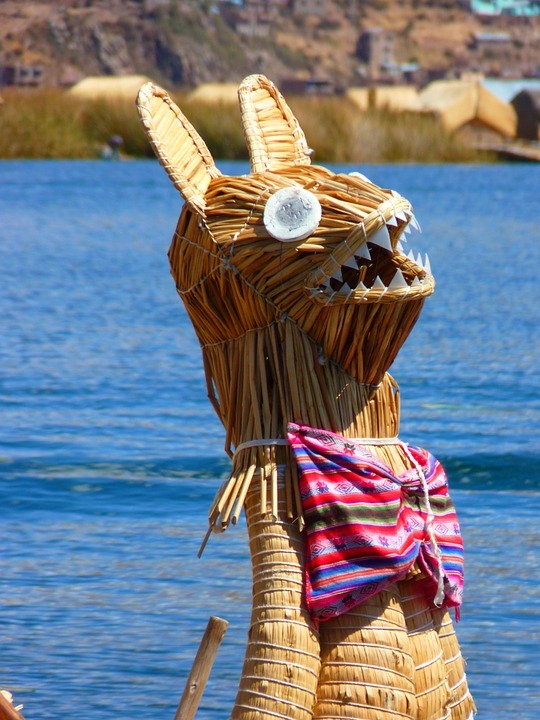 Made entirely of tortora reed, which is replenished every year, the 60 or so isle archipelago lies about a half-hour boat ride from Puno, on the Peruvian side. Walking on them is just amazing – not unlike walking on some kind of soggy trampoline – and meeting the islanders, who are more than enthusiastic to show you their way of life, is an absolute highlight. Local legend has it that the Uros are the oldest people on earth and their belief system was ethereal and complex for centuries on end. The influence of foreign cultures (like the Aymaras) caused an extensive dilution in the Uros culture, with the native language all but lost nowadays. Although the islands are quite touristy, the lure of modern life is what causes the most current grief. The big city life is an attraction not lost on the younger inhabitants of these islands, and more and more young people every year migrate to terra firma. The future of this incredible culture and the Uros Islands is under threat, so visit them now while you have the chance. The stunning views from Sun Island. Photo credit: Shutterstock. 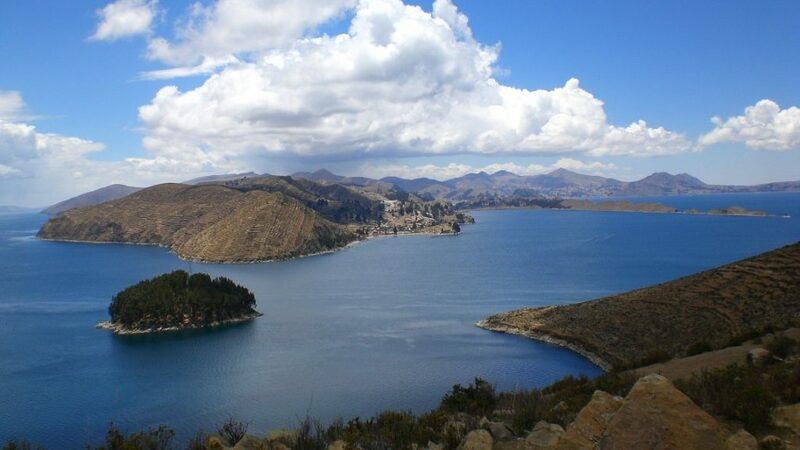 Lake Titicaca’s Isla del Sol is often rated the highlight of any trip to Lake Titicaca, given the decent infrastructure, abundance of local communities, handful of accommodation choices, great food, and array of Inca ruins. Best reached from Copacabana, on the Bolivian side, the Island of the Sun is resplendent, with its unique stretches of sandy beach, turquoise waters, and multitude of elevated viewpoints. With ample time on a tour of Bolivia, a few days spent on Sun Island are infinitely rewarding. You can enjoy an extraordinary sunset, sleep in comfort, and wake up to a delectable breakfast in a remote and utterly surreal place. Few places on earth can offer that delightful combination! 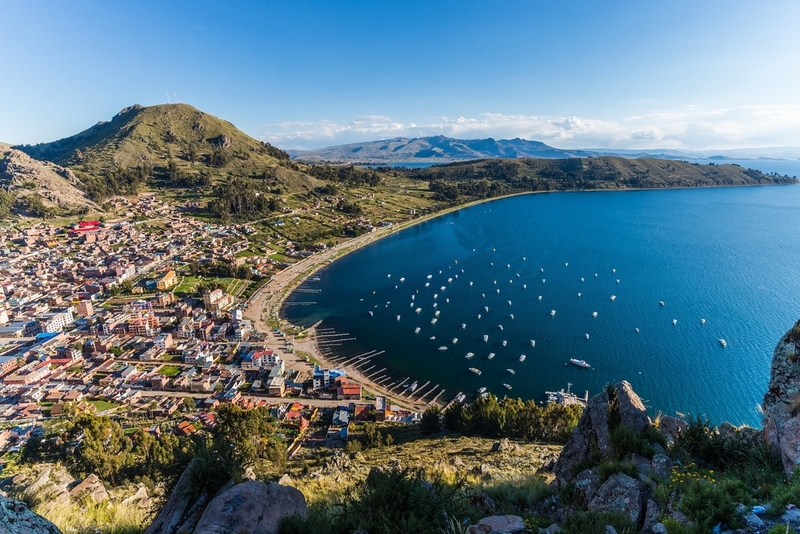 Inhabited by a little over 2,000 people, Taquile is one of the prettiest islands of Lake Titicaca. The scenery is simply breathtaking, and the lakeside cobblestone walkways offer awe-inspiring views at every turn. From the shores of the island where you arrive by boat, you can enjoy a tough but sensational half-hour hike to the top plateau, where a gorgeous Plaza de Armas brimming with open air eateries vies for your attention. Taquile is not only renowned for its picturesque setting and views, but also for its delicious seafood, so make sure you have plenty of time to sit and savour the views and the local fare when you visit. Amatani Island. Photo credit: Pixabay. Amantani was the first of the Lake Titicaca islands to offer overnight home-stays for tourists, and although others have now jumped on the bandwagon, Amantani still remains a firm favourite. Spending a night with a local family and experiencing life as it has been for hundreds of years here is incredibly enthralling. When you visit Amantani, you’ll be in the very capable hands of a local family, who’ll show you their way of life, guide you on a walk around their island to visit ancient ruins on the peaks of Amantani, and even organize an entertaining evening of folklore dancing and warm beer. If you’re pressed for time and can only fit in one highlight, we’d recommend you pick this one! 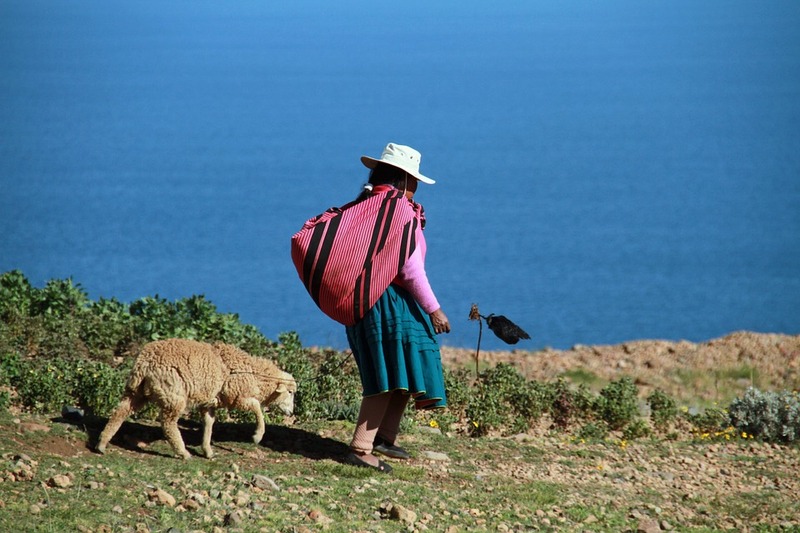 Peruvian locals, Lake Titicaca. Photo credit: Pixabay. At first glance, Puno may seem to not have very much to offer, but appearances can be quite deceiving. With a charming Plaza de Armas, a gorgeous Cathedral, a pedestrian street chock-full of delectable cafes and shops, and a wicked weekend market, Puno is actually an interesting town in which to spend a few days. The markets in particular are brilliant, with local growers descending from nearby areas to sell their home-grown produce. What we love most about these markets is that unlike many others you come across in Peru, they are as authentic as it gets. 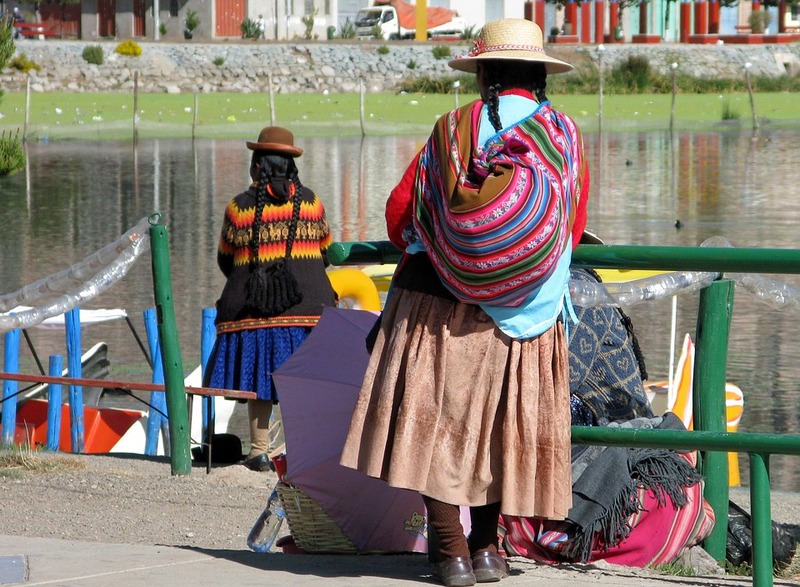 These markets are not set up for tourists and, instead, offer a raw and authentic glimpse into the trade that happens on the shores of Lake Titicaca. Ever vibrant, busy, loud, and somewhat crazy, here you’ll find unusual fruit sold alongside dubious animal bits and pieces, home-made blankets, clothing, and wares of all sorts. The most fascinating thing to do here, however, is probably people watch. As traditionally dressed locals descend on the shores of Lake Titicaca for their weekly purchases, you’ll be privy to an unforgettable spectacle. The Intricately ornate church of Pomata. Photo credit: David Baggins. You’d be hard-pressed to find Pomata on many tourist guides of Peru, and that’s just one of the reasons you should include it in your itinerary. 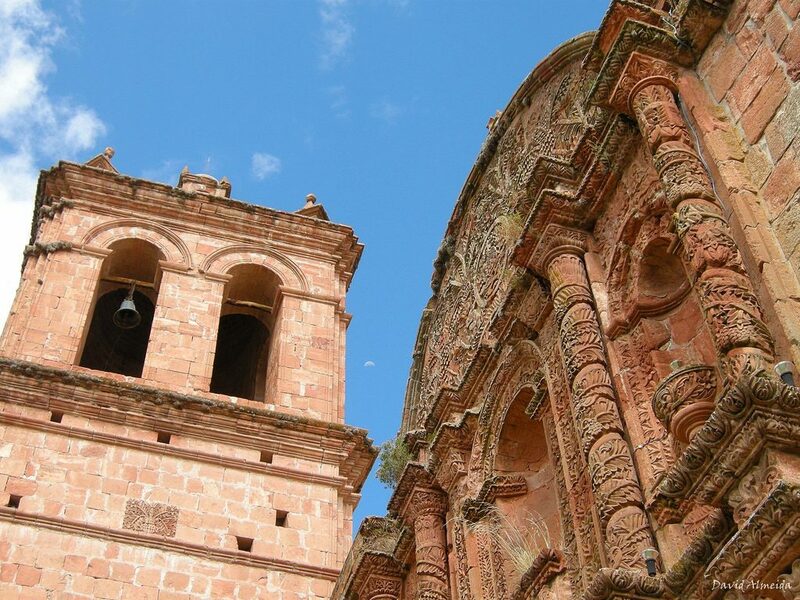 In this small and unassuming town, merely 100km south of Puno (or 30km west of Copacabana) is where you can visit one of the most striking churches in Peru. The red-hued sandstone cathedral of Pomata was built by the Dominicans in the 1600s, and would have to be one of the most ornately carved churches we’ve ever seen. Aside the sheer architectural wonder, the Santiago de Apostolo Church boasts a fab setting atop a hill (more great views!) and the fact that it’s way off most tourists’ radar also shouldn’t be discounted. The small town of 1,600 people is literally dwarfed by its incredible highlight but certainly worth a wander around. With a bevy of secrets still emerging from its depths, Lake Titicaca has been fascinating explorers, archaeologists, and visitors for years on end. An unmissable stop over on tours of Peru and Bolivia, Lake Titicaca manages to infuse culture, history and nature in one very memorable swoop. Ask us how we can design a tailor-made tour through the region to include your most desired highlights.